Home / Entertainment / Video / FUNNY! Watch why Jose turned into a Budoy when he got wet! FUNNY! Watch why Jose turned into a Budoy when he got wet! 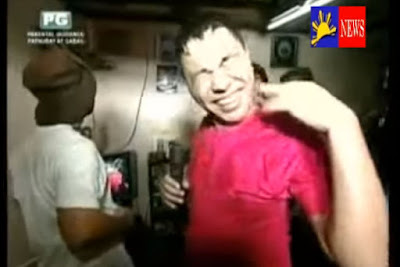 Watch how Jose Manalo hilariously impersonated Gerald Anderson's 'Budoy' character! Truly one of the best comedian on TV! Ever since Jose joined Eat Bulaga, he had brought so much laughter to everyone with his funny, witty and super natural jokes and 'kalokohan'. He never runs out of pranks and fun stories that makes everyone wanted to watch him on TV. There's really no dull moment whenever Jose together with Paolo and Wally starts to make funny 'kalokohan' on Eat Bulaga Juan For All, All For Juan. Not just known for being good on jokes, Jose is also one of the best impersonator in our country. After Gerald Anderson popularize the 'Budoy' character from his show on ABS-CBN, Jose impersonated the character on JFA,AFJ when he was accidentally caught on the rain. Jose was standing outside the house under the rain when Vic and Joey De Leon started calling him 'Budoy' then he instantly changed from Jose to doing the 'Budoy' voice and actions. Everyone were laughing as Jose keeps on making funny 'Budoy' faces in front of the camera. It was really hilarious cause he was great on impersonating Gerald's character. We have seen Jose impersonates many celebrities, Manny Pacquiao, Willie Revillame and of course of President Duterte. Jose keeps everyone glued on Eat Bulaga because of his funny attitude and 'kalokohan'. One of the reason why Eat Bulaga is number one because of their natural comedy attitudes.